The Supreme Court of Canada on Friday ruled that indigenous Amazonians of Ecuador can use an Ontario court in an attempt to collect billions of dollars from Chevron for contaminating their rainforest and the subsequent environmental and health damages it caused for the people living in the area. The case, Ecuadorean indigenous villages v. Chevron, who is the third-largest corporation in the world, is allowed to proceed as it has an active subsidiary in Canada. This case is the longest-running and most controversial lawsuit, taking many twists and turns over a 13-year period. With us to discuss the historic court ruling are two guests, Dimitri Lascaris who represented one of the intervening lawyers with the case, and Paul Paz y Miño. Dimitri is joining us from London, Ontario. He is the Green Party candidate for London West Ontario in the upcoming federal elections in Canada. 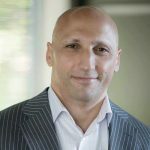 When he is not doing that, Dimitri is a partner with the Canadian law firm Siskinds, where he heads the firm’s securities class actions practice. He is currently a board member of the Real News Network. And Paul Paz y Miño is a human rights advocate with expertise in Latin America for more than 20 years now. He is a director of outreach and online strategy at Amazon Watch, and has overseen the Clean Up Ecuador campaign for the past eight years. Thank you, gentlemen, for joining me today. PAUL PAZ Y MINO: Thank you. PERIES: So let me begin with you, Paul. Give us a history of the case in Ecuador as well as in the U.S. thus far. MINO: First, I’m struck by whenever anyone introduces the case because often the words ‘controversial’ and ‘extended’ are used. And the sad fact is that it’s a very simple clear-cut case, but Chevron has succeeded in dragging it out for decades and making it controversial and confused even though it’s actually quite simple. Texaco was the first company to drill for oil in the Amazon in the 1960s. They went in with an agreement of the government of Ecuador, and designed a system deliberately set up to pollute the area by dumping toxic foundation waters, these are the waters that are extracted from the earth before you can extract the crude. Normally they’re injected–normally they’re kept in a lined pit, which was the law everywhere in the world at the time, or a tank, and then safely reinjected into the earth. Texaco decided to set up a system from the outset that would simply dump the toxic waters into open air unlined pits in the middle of the inhabited, at that time pristine, Amazonian rainforest where thousands of people lived. And that system has been polluting ever since. So since 1964 when they first began, the people living in that area have been systematically and deliberately poisoned. Texaco left in 1992. And when they did, the villagers then sued them in the United States in New York. Now, the government of Ecuador took over those oil fields, and at that time began upgrading the systems so that they could reinject those foundation waters. But pollution did occur after 1992, after Texaco left. However, Texaco fought for years in New York to say that New York was not the proper venue for that case, and that it should be sent back to Ecuador, because that’s where the issue was and because they felt–I think they filed 20 affidavits saying they could get a fair hearing in Ecuador and it wasn’t proper to have it in the United States. So they fought for years simply on that fact, and they succeeded. At that time Texaco then merged with Chevron. The current CEO of Chevron, John Watson, was one of the principal architects of that merger. So the Ecuadorean communities then filed their lawsuit again in Ecuador. Texaco also upon receiving the verdict in New York agreed to abide by whatever decision the Ecuadorean justice system came to. So Chevron then began defending itself in Ecuador, against a civil lawsuit. Their primary defense was that they had obtained a release from the government of Ecuador when they left in 1992. they spent $40 million on an alleged cleanup of what they felt they were responsible for, and the government of Ecuador approved that. Now, it’s very important to make the distinction, this is a civil lawsuit. And that agreement also did not protect Chevron or Texaco from any civil suit. So it was completely invalid, when it came to that. But more importantly, those remediated pits were nothing of the sort. And evidence has come out showing that all the pits where Chevron said that they cleaned up, they simply pushed dirt overtop of and they continue to pollute to this day. So after another ten years of trail in Ecuador, the most litigated case in history, the Ecuadorean communities won what was then an $18 billion verdict against Chevron for the deliberate pollution and the consequential health effects. Health estimates are that upwards of 10,000 people will end up contracting cancer because of the health crisis created, and over 14,000 people have already died. Chevron pulled its assets out of Ecuador, and thumbed its nose at international justice and the Ecuadorean justice system and said that it would never pay, it would fight till hell freezes over and then it would fight it out on the ice. So instead of honoring that they have fled, and they’re now being chased to Canada. And that’s where this verdict is so important. Because in respect for international system of justice, the Canadian government has appropriately decided in the Supreme Court that the Ecuadoreans have the right to pursue Chevron in Canada to make them pay the $9.5 billion verdict for a cleanup. And that’s why this verdict is so important, because what it says is that the government of Canada will respect, just like any other government should, the legal system of Ecuador and other countries, and they would allow the Ecuadoreans to bring their case there. PERIES: Dimitri, give us a sense of this decision by the Canadian Supreme Court and the significance of it. LASCARIS: Let me clarify at the outset, Sharmini, that I myself am not the intervener. I acted for an organization called the Justice Corporate Accountability Project, which was founded and is led by legal academics in Canada who have admirably sought to raise the bar for corporate accountability in Canada, and I was joined by my lawyer colleague James [Yap], a graduate of Yale with a passionate interest in this subject area, in representing them at the Supreme Court of Canada. And essentially the issue that was raised, I mean to simplify it for the non-lawyers watching, is normally for a dispute to be adjudicated in Canada where there are extra-territorial aspects, non-Canadian aspects, the court has to be satisfied that the dispute has, in the terms of the judiciary here, a real and substantial connection to Canada. And of course that would be a difficult test to meet in this case because the litigants are non-Canadian, the events happened in Ecuador, the damage was sustained in Ecuador. So if that test were to be applied, very likely the Ecuadorian plaintiffs would be out of luck and could not pursue their claim here. However, the Ecuadorean plaintiffs maintained with a great deal of support from the jurisprudence, that the real and substantial connection test doesn’t apply once a judgment has been rendered by a foreign court. At that point there is no need for the plaintiffs who are seeking to enforce that judgment in Canada to demonstrate that connection because the court that rendered the judgment has in fact decided that it itself has that connection. If that has been determined, all that remains to be done here is for the court to give effect to the will of the foreign court, and in the case where there’s a presence, where the party against whom the judgment was rendered has a presence in Canada. The wrinkle here, and this is really a problem that will arise repeatedly in our globalized economy, is that Chevron itself put in evidence that it does not have a presence in Canada or business in Canada. What it has in Canada is a subsidiary that has very substantial assets. And it’s not even a direct subsidiary. It’s I think a seventh-level subsidiary. So there are a number of corporate entities intervening between Chevron, the defendant, in the Ecuadorean litigation, and the company that has assets here in Canada. And basically what the court decided was, well, that company is doing business in Ontario. It’s called Chevron Canada. It was also named as a defendant in this enforcement proceeding. And for the purposes of determining whether the Canadian court has jurisdiction, all we need to determine is that it has a presence here, and it does. It has an office in Ontario. And we leave it for another day, and this is really quite important, to determine whether or not the plaintiffs can access the assets of Chevron Canada. And this gives rise to a legal theory known as piercing the corporate veil, and the defendant Chevron is going to argue that it is protected in Canada from this judgment because it itself does not directly own any assets here. It’s owned by a seventh-level subsidiary. And really, this is a very problematic argument for people who are injured by, for example, the polluting activities, and quite nefarious activities of Chevron in Ecuador, or at least the predecessor of Chevron, Texaco, in Ecuador. Because this type of corporate structure is used all the time. Corporations will set up subsidiaries and oftentimes various layers of subsidiaries in jurisdictions in which they do business. 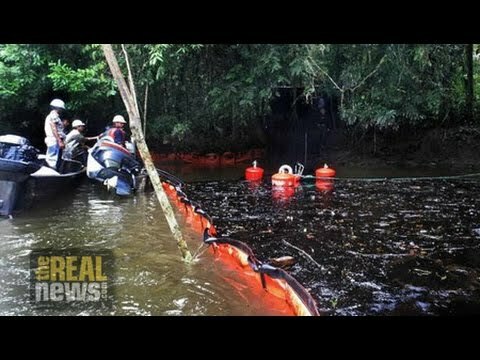 And if at the end of the day the existence of these subsidiaries defeats the claim to enforcement of the Ecuadorean plaintiffs, ultimately, and that remains to be seen whether that will happen, then it would be a very simple matter for multinational corporations like Chevron, to avoid liability for their extraordinarily damaging activities in countries like Ecuador. So that battle remains to be fought. But for the time being what the court has decided here, I think quite wisely, is that the real and substantial connection test does not apply if all you’re doing is enforcing a judgment that has been rendered by a court in another jurisdiction that did have a connection to the dispute. PERIES: Paul, give us a sense of what this means for the people in the Amazon, and the toxic legacy Texaco-Chevron has had on their lives. MINO: Well, this is an important step forward for them. But as I mentioned before, the toxic pits still exist, and they are still exposed to them. So justice delayed is still justice denied in their case. And I know despite the fact that it has taken so long to reach this point, they’re feeling positive because every single time Chevron has had to face any kind of judge or bench or panel of judges based on the evidence, it has lost in a unanimous decision against it. In Ecuador, in Canada before five to nothing. This decision was seven to nothing. The evidence against Chevron is so overwhelming and complete that they know that they will get in Canada, based on the evidence the trial will expose Chevron and they will be found liable as they were in Ecuador. And they feel that justice is clearly on their side. The problem here is that Chevron has abused and manipulated the justice system to such an extent that they’ve been going on escaping for this pollution for over 20 years. And it’s simply because they have the resources to fight on and on, as they said, until hell freezes over, and then fight it out on the ice. And that’s why this is so important. It needs to stop now. This shouldn’t even go to trial in Canada because Chevron should realize once again that they’re going to lose, and that in the meantime more people are going to die. They’ve already lost I believe $100 billion in market value last year. Their company is already in trouble. And their management is taking them down a path that’s going to throw bad money, or good money after bad, however the expression goes. And simply waste everyone’s time with another fight where they know they’ve been caught, and now by another system [of] justice. So it’s time for them to step up and take the right step and do the right thing, and clean up. They’ve spent close to $2 billion fighting this. They could have cleaned and repaired those pits in the 1960s for $4 million. And they decided that was cost prohibitive. So they’ve allowed, they’ve put profit over people for too long, and our message and the message of the global community is going to be CEO John Watson, chief lawyer Hew Pate, have taken this company in a direction that is costing the lives of many more people needlessly when the evidence against it is so overwhelming and it’s time to step up and do the right thing. And that’s the day that Ecuadorean communities will finally have attained some semblance of justice. But you can’t bring back the over 1,000 people that have already died. And no one, frankly, frankly, has ever even tried to remediate something as vast as this. The Exxon Valdez, the BP Gulf Spill, those are nothing compared to the size of this environmental damage. And frankly, $9.5 or $10 billion with interest is probably not going to be enough to even do a full remediation of it, but the work needs to start right away. PERIES: And Dimitri, when will this go to trial in Canada? LASCARIS: Well, I think the likelihood now, we’ll see how they’re going to react. But I think they’re going to–one of the exceptions to enforcement of a foreign judgment, even where the foreign court had a connection, a sufficient connection to dispute, is that the foreign court–the foreign judgment was obtained by fraud. And there have been allegations swirling. I totally agree that there is an overwhelming amount of evidence supporting the Ecuadorean plaintiffs’ claims. But there has been, there have been allegations swirling that the judgment was obtained by fraud. And it may well be now that Chevron is going to pursue that line of argument and engage in a very protracted effectively retrial of the matter, and this could take many years. The one thing I will–the only point on which I disagree with what my friend said is that I think if the singular purpose of the corporation’s existence is to generate profit, which unfortunately is essentially the state of the law in the United States where Chevron is incorporated, it actually is acting in an economically rational manner, because there is good reason to believe that companies like Chevron engage in this type of behavior all over the developing world. For example, there has been extraordinary environmental [depredations] by an oil company, I believe it was Shell, in Nigeria. And there are examples of this, they abound. And so I think the calculus of Chevron’s management is that if we capitulate here and pay this judgment, we are going to open ourselves up to potentially ruinous judgments from the developing world. The answer to Chevron’s management is don’t engage in this behavior. But when your singular objective is to generate profit no matter what the cost to the communities in which you operate, that is essentially what the law incents them to do in the United States. It’s all about maximizing profit. And the law doesn’t require them to take into account the impacts on other stakeholders, like the people who live in the communities where they operate. Then this type of thing is going to go on, and it’s going to go on and on, and people are going to suffer in the developing world, in particular. MINO: [Inaud.] to in one way or another pay up. That’s why it’s important that the assets get seized. Because then the cost decision changes drastically. Then they turn back and say, we’ve spent $2 billion fighting this, we’ve still had to turn over $10 billion at the end. We should have just dealt with it at the outset and taken care of it years and years ago when the cost was less and the impact to the environment was less. But I take your point. Chevron, though, also prides itself and has no trouble spending hundreds of millions of dollars on ad campaigns to say that Chevron has an ethical standard. That there’s the Chevron way which respects human rights and the environment. And so they say that they’re driven by more than profit in their own propaganda. But their actions in this case show the exact opposite to be true. PERIES: Paul Paz y Miño, thank you so much for joining us. And Dimitri, thanks for joining us as well.